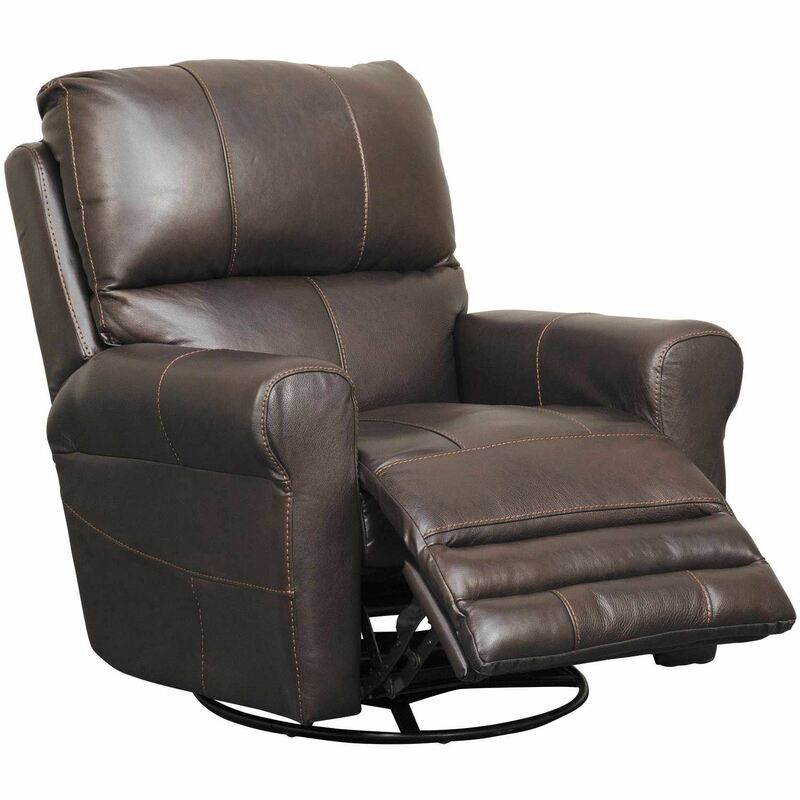 With the Hoffner Chocolate Italian Leather Power Recliner you don't have to choose between sleek style and comfort. This power recliner updates the look of a traditional recliner with clean lines, chocolate-colored leather upholstery, and contrast stitching for a contemporary look. Underneath its good looks lies surprising comfort: comfort coil seating and Comfor-Gel cushions cradle you while you enjoy the infinite comfort possibilities of the lay flat reclining mechanism. With the Hoffner Chocolate Italian Leather Power Recliner you don't have to choose between sleek style and comfort. 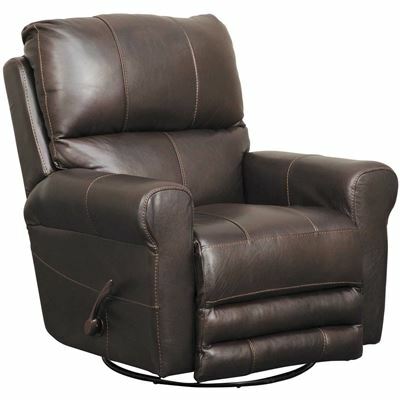 Hoffner Chocolate Italian Leather Power Recliner from Jackson/Catnapper Furniture. Comfort coil seating with Comfor-Gel cushion construction. 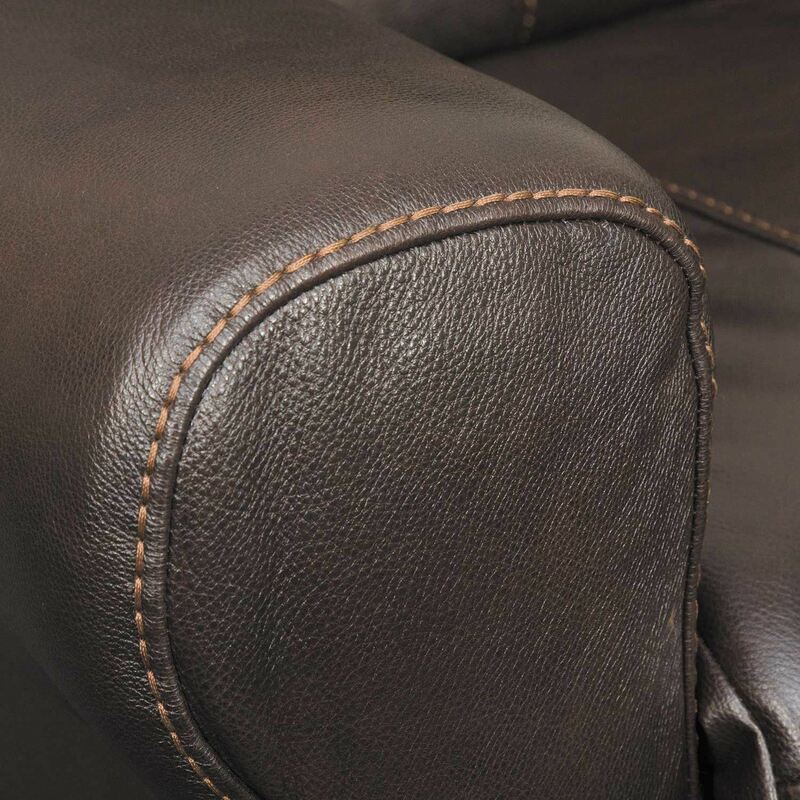 Covered in a chocolate-colored heavyweight Italian leather application.